Kleiner selbstreferenzieller Nachtrag meiner Reise nach Südafrika. 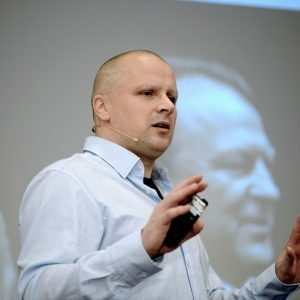 Es gab die eine oder andere Veröffentlichung, etwa dieses Interview auf „Project 2010“. 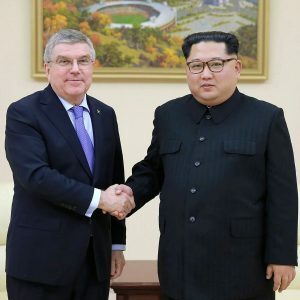 Bei einer Diskussion im Radiosender SAfm über journalistische Verantwortung und WM-Berichterstattung hatte ich eine ordentliche kleine verbale Auseinandersetzung mit Derek Carstens, Chief Marketing and Commercial Officer des lokalen WM-Organisationskomitees. Wir haben Argumente ausgetauscht. Einen längeren Beitrag hat Colleen Dardagan, eine sehr kundige Kollegin, die sich seit Jahren mit der WM 2010 befasst, über mein Seminar in Durban geschrieben. 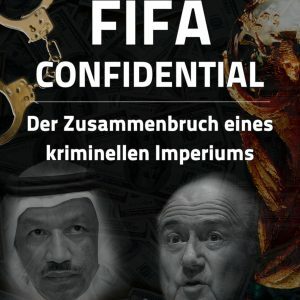 Und siehe, kaum war der Text in The Mercury veröffentlicht, hat sie auch schon ein Interviewangebot von der Fifa bekommen: Sie spricht nun mit Hans „Grüezi“ Klaus, dem immer noch neuen Kommunikationsdirektor der Fifa. Manchmal schreibt die Fifa Leserbriefe, manchmal werden Interviews arrangiert. Was der Herr Klaus der Kollegin wohl erzählen will? THE Sol Plaatje Institute for Media Leadership at Rhodes University hosted a countrywide tour where German award winning journalist, Jens Weinreich, discussed reporting and the 2010 World Cup with local media representatives. 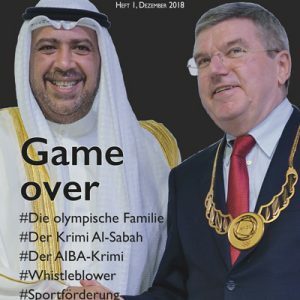 The Mercury’s Colleen Dardagan attended the event in Durban where Weinreich, who specialises in corruption and politics in sport and has published six books on the subject, encouraged journalists to prepare themselves well for the World Cup. 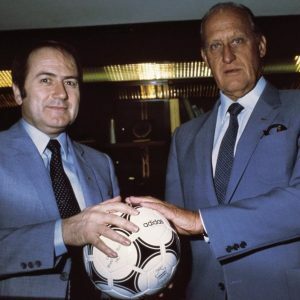 He revealed proven allegations of serious corruption and fraud within Fifa and presented an hour long exposè on the life and rise of Sepp Blatter, who was appointed president of the football world body in 1998. He warned that South Africa should not expect too much from the event. „WHILE journalists wrote articles about how wonderful the 2006 World Cup would be for Germany, many of them were never really well prepared for the event itself – they failed to read between the lines. „There were about ten so-called scientific studies published before the 2006 World Cup which promised a huge increase in gross domestic product among other things. None of them came true. We even heard that the birth rate went up, the very opposite was true – Germany had a negative birth rate nine months after the world cup. „What has been proven is that mega-events have no lasting influence on societies at all, yet the media continue to print stories about increasing tourism numbers, and the promises of a booming economy. During the 1998 World Cup in France the country actually lost visitors. People didn’t want to go where they knew they were going to have to pay double for a hotel room. Similarly in 2004 in Greece 30% of usual visitors stayed away during the Olympic Games. The Beijing games were different, China discouraged visitors. 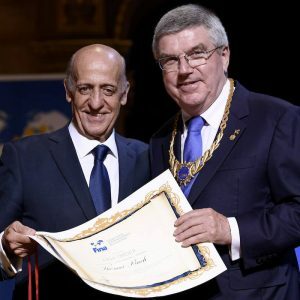 Weinreich said the success of the German event was because of the good weather, the success of the national football team and, of course, the organisation – a mix of all. Weinreich said while journalists needn’t always be critical in their writing, they shouldn’t believe spin doctors and should be prepared to read between the lines. „They want to tell us that the World Cup and Olympic Games are a plus, but if you look behind it you will find it’s not necessarily true. It’s always the same promises, but of the four bids I have covered in Germany, two have ended up in parliamentary investigations and the third, which was the 2006 bid for the German World Cup has also raised serious questions, particularly relating to construction contracts. The fourth is the 2018 Olympic Winter Games bid for the city of Munich. I look forward to seeing how that works out,“ he said. Also, Weinreich warned, that in 2010 South Africa would feel Fifa’s influence. „From next year this won’t be South Africa anymore, it will be the kingdom of Fifa. 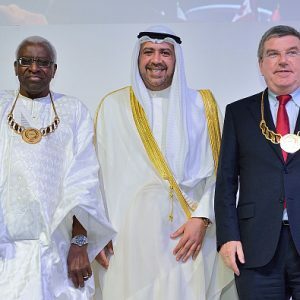 The World Cup is not owned by the fans, the media or the host country, it is owned by Fifa, to be precise, the 24 members of the Fifa executive board. And if you were to read the biographies of these members you would be shocked. Many of them were and are under investigation for fraud. I have often wondered why journalists in South Africa have never questioned how LOC president, Ivan Khoza, became a leader. He also encouraged journalists to keep their eyes on stories relating to ticketing. „For every 64 games, 24 people (members of the Fifa executive) get free tickets. There are 208 associations who have rights to apply for tickets. If you add that up it comes to hundreds of thousands of tickets. A lot of them make there way onto the black market. 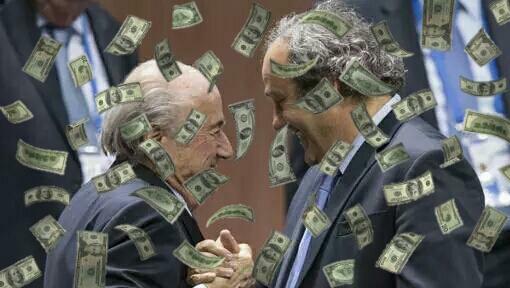 In the past we have found black market tickets with the names of high ranking Fifa officials on them. „The Fifa vice-president, Jack Warner, a history teacher by profession, was labelled in a report by Ernst & Young as one of the masters in black market ticket trade. He has his own travel agency, Simpaul Travel – he organises the whole package. But it’s the same story – nothing happens to him. In the documentary, Fifa president, Sepp Blatter described the organisation as a family. „The concept of family is important to me. Football can replace a family. Football is the most popular sport, more than religion, race or culture, more than the Catholic Church. When we have problems in the family, we deal with them in the family. They are not brought in front of real courts – they (the courts) are not part of the family,“ he said. 10.06.10Südafrika, Tag 6: We are the Blatter family! 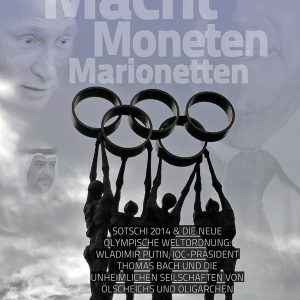 Sollen wir nun mit Sepp Blatter gemeinsam hoffen ? Der Weltverband sei aufgrund bestehender Verträge bis 2010 in einer «komfortablen Situation», mache sich aber darauf gefasst, wegen der düsteren wirtschaftlichen Aussichten künftig vor schwierigen Verhandlungen zu stehen, erklärte Blatter. Die FIFA generiert ihre Einkünfte zum größten Teil aus dem Geschäft mit der Weltmeisterschaft und erwartet durch die WM im kommenden Jahr in Südafrika Einnahmen in Höhe von 3,2 Milliarden Euro durch Fernseh- und Marketing- Verträge.